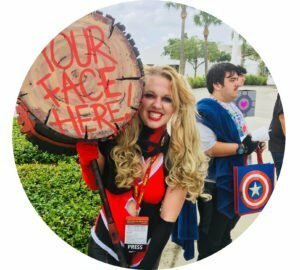 The Cosplay Amino App is a reasource for cosplayers to get together and chat, share their ideas, and get feedback on their WIPs. Captain Puerto Rico who runs the feature page @cosplayaminofans on Instagram filled me in on the app’s best features, talked to me about his CPR photography business, and told me how he got his page to over 35K followers! You can request an Instagram feature on @cosplayaminofans here and follow CPR photography on Facebook and Instagram! Make sure to SUBSCRIBE and watch the video on our YouTube channel (click the photo below)!